Safety is very important when you become a parent. You spend half of your time worrying about your newborn. As they grow you worry about different things. Feeding, eating, development. Then they become toddlers and you worry about moving them from there cot into a big bed. You worry about if there sleep will be effected and what happens if they fall out. To take some of that worry away we have teamed up with Safetots to offer a reader the chance to win a bed guard. 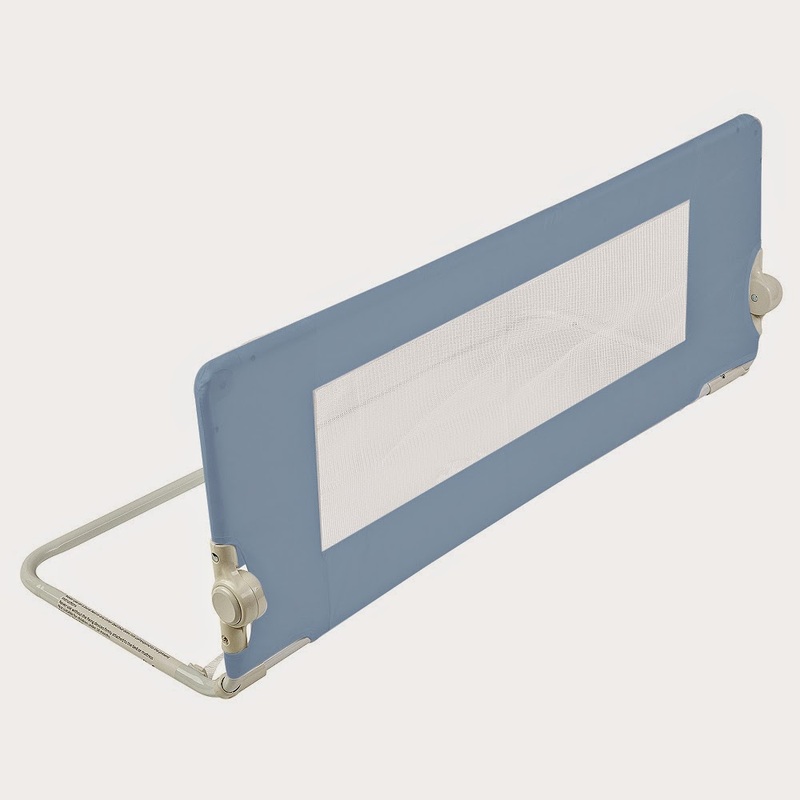 The winner will have a choice of a white, natural or blue coloured bed guard. "Safetots is a family run business, established in 2003 by brothers David and Peter Boast. The aim was to provide a shopping destination for the very best brands in baby and child safety products, whilst offering expert advice and information. Encouraged by the fast rate of growth and the increasing popularity of the company, Safetots made the decision to expand across several online platforms including eBay. Safetots understand how important it is to have fully trained staff and each member of our team have had in- depth training on all of our products, including our wide range of child safety stair gates. We have every confidence that Safetots can find and recommend the correct safety solution to meet your requirements. Today, Safetots is the UK's largest shopping destination for child safety products, offering over 3000 safety products for your home or travel, including many of our own Safetots branded products. Putting this together with our expert knowledge of the industry and our fast and efficient delivery service, Safetots are placed in a unique position to help and guide our customers." You can find Safetots on Facebook and Twitter. For a chance of winning simply fill out the raffle copter below. The competition will run for two weeks. The prize will be provided by Safetots. I would like the white one please. I would love natural please.